Weather update! 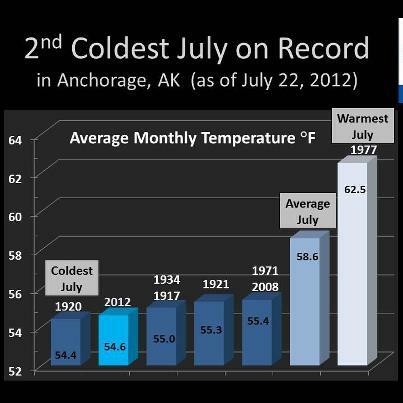 July 2012 has been the second coldest July on record in Anchorage. The average temperature this month has been 54.6 F (11ish C for all you Canadian readers). In other words, cold, rainy and grey. Definitely no summer here!